Steelheart is a clean and modern calligraphy typeface created and published by Artimasa, a small type design and lettering studio from Indonesia. Featuring a natural feeling calligraphy style with stylistic alternates, ligatures, symbols and diacritics, Steelheart can be used for watercolor based designs, wedding and special events invitations, posters, children book covers, etc. 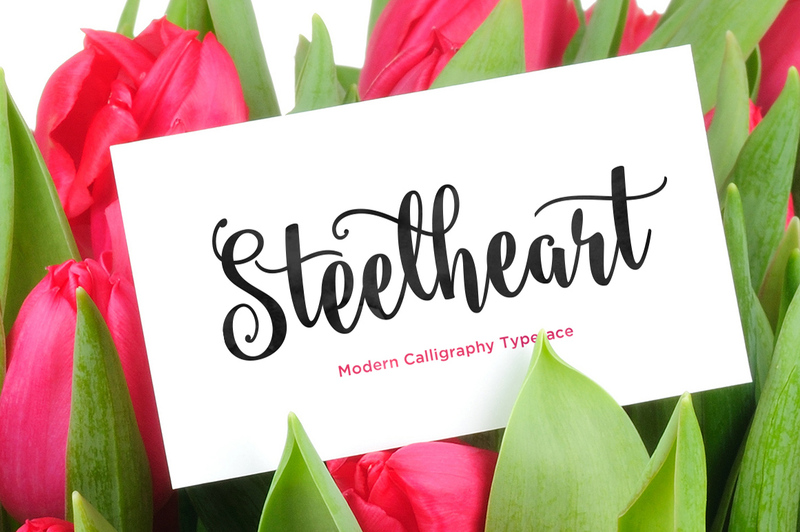 Create an attractive message with Steelheart! A font description published on Saturday, May 9th, 2015 in Artimasa, Fonts by Andrei that has 12,368 views.